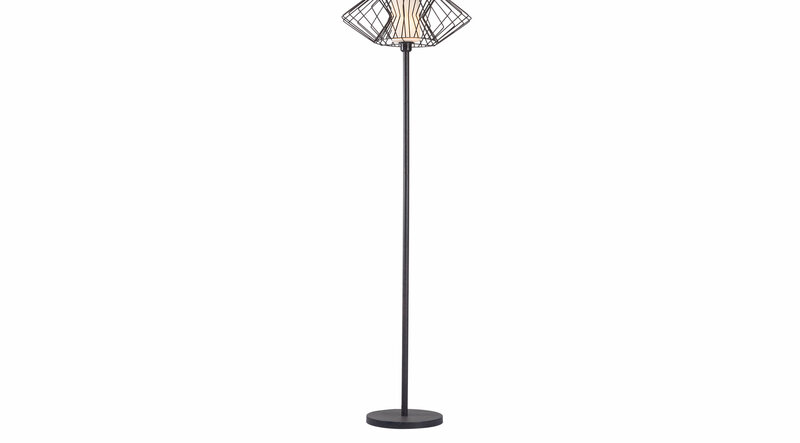 The Coyame floor lamp has a slim body and architectural frame shade surrounding an hourglass shaped center. Rust finish to base, body and shade. Add this unique look to any room for an ornate and fashionable accent.